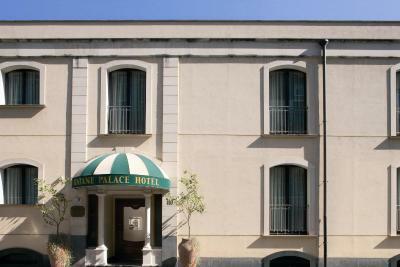 Lock in a great price for Katane Palace Hotel - rated 8.4 by recent guests. Beautiful hotel and decor was lovely. Beds are harder than we are 7sed to but the room was large and clean. Staff were 5 star, all of them. Hotel staff is friendly and helpful. 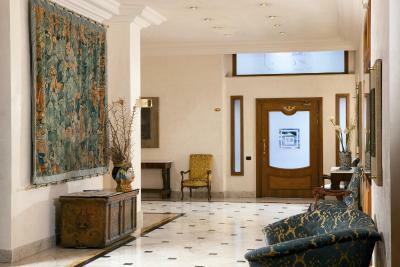 The hotel is located within 20 minutes of walking distance to Catania's main attractions. 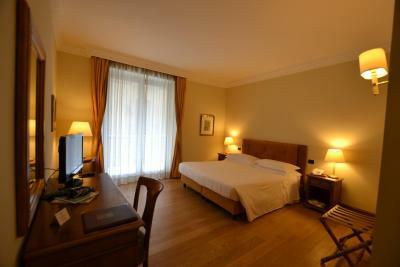 The rooms are spacious with tall ceilings. Although limited, there is free parking inside the hotel. Great service. Our car was parked in safe underground garage by concierge. ( we were lucky...car spaces can't be reserved) bags taken to our room.Breakfast good . Located down narrow streets where parking would be difficult the availability of garage parking was very appreciated. 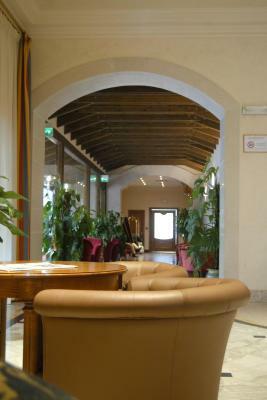 The staff were very helpful and the downstairs sitting areas were very comfortable and lived up to the 'palace' title. 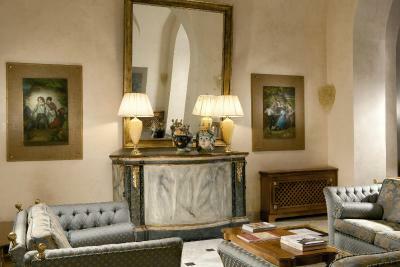 Very accomodating place, spacious room, extremely friendly staff. 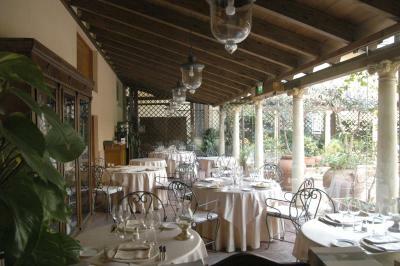 It has an internal terrace which is very nice really. 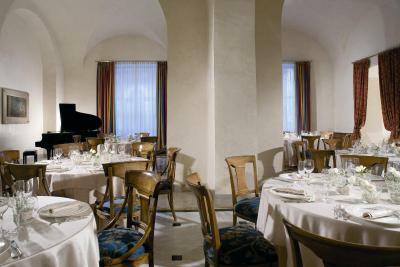 The restaurant “Il Cuciniere”, which is hosted in the hotel, is excellent! As our originally planned flight to Catania got cancelled, yet they let us reschedule our stay without second thought and at no cost, even as they had no oblgation to refund. Kudos for that! 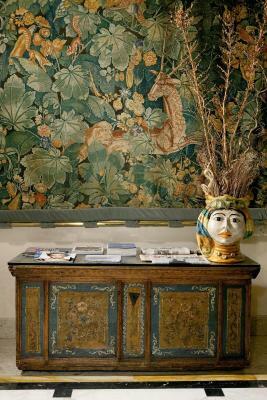 Familiar, but elegant hotel, with some archaic feelings. Even the hotel is located in a narrow, not too nice street, but in reality we are at the edge of the city center, very close to a elegant road with palaces. 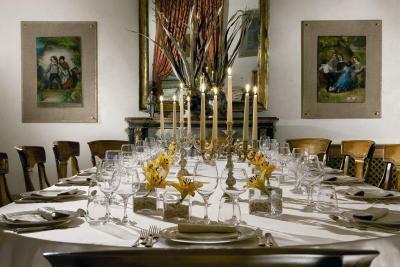 The restaurant of the hotel is elegant as well, and the tastes are really sophisticated. Especially we loved the Lady who served us and gave good advices. The room looks simple, but very cosy, the bed is wide and comfortable. Every day you get complimentary mineral water and beverages, which help a lot morning time. Lovely hotel with nice big room. Breakfast room is by the courtyard so nice view of rustic pots & plants outside. Continental breakfast was fine and a good start to the day. Restaurant in the hotel smelled delicious and other eateries nearby. The room, the balcony, the staff. Good value for money. Close to the centre. 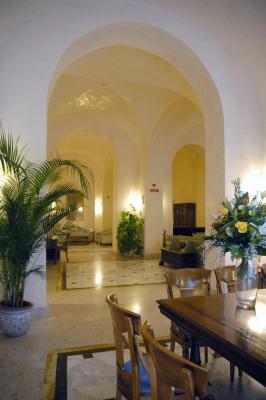 In a walking distance to Via Etnea and also to all Catania major sights. Comfortable big bed. Spacious room. Good selection of sweet and savoury for breakfast. Helpful and friendly staff, particularly Santo. Katane Palace Hotel is 1,000 yards from Catania Train Station and a 20-minute walk from the Cathedral. 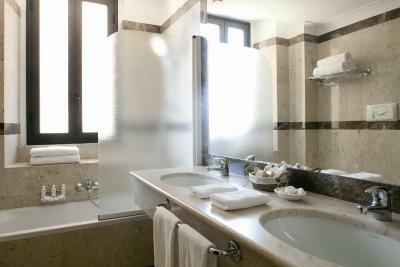 The classic-style rooms come with free Wi-Fi, free soft drinks in the minibar, and satellite TV. Free on-site parking is available. Most rooms offer views of the main courtyard, and some have a balcony overlooking the road. 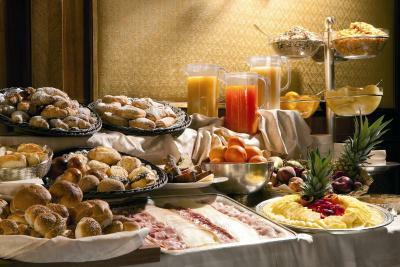 Breakfast is a generous buffet, including fresh fruit. The staff of Katane Palace are multilingual. They can help during your stay in town, with tourist and travel info. You can also book trips to Mount Etna. 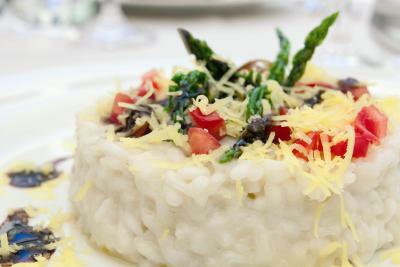 This is our guests' favourite part of Catania, according to independent reviews. 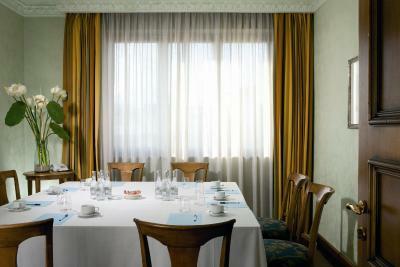 Katane Palace Hotel has been welcoming Booking.com guests since 26 Aug 2010. 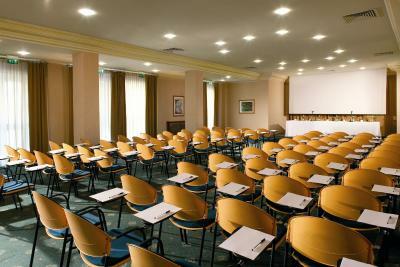 When would you like to stay at Katane Palace Hotel? Larger room overlooking the inner courtyard. Please specify bed preference when booking. 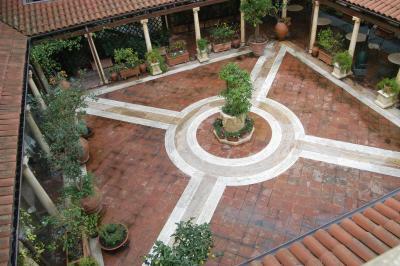 Overlooking the inner courtyard. Please specify bed preference when booking. 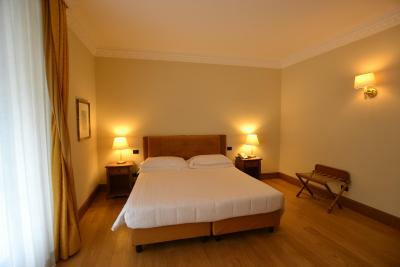 Overlooking the inner courtyard, this room has a large single bed. 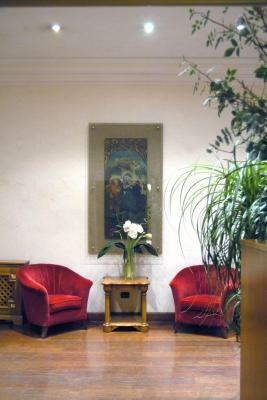 The Hotel Is a 4 stars in the heart of the city of Catania.Continental buffet breafast is served every day with fresh fruits and others typical products. 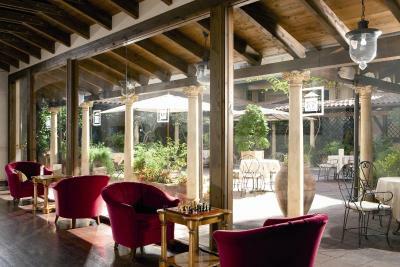 You can enjoy our courtyard in sicilian style for breakfast, dinner or just to relax. House rules Katane Palace Hotel takes special requests - add in the next step! One child under 2 years is charged EUR 14 per person per night in a child's cot/crib. One older child or adult is charged EUR 55 per person per night in an extra bed. ATM card Katane Palace Hotel accepts these cards and reserves the right to temporarily hold an amount prior to arrival. Katane Palace Hotel accepts these cards and reserves the right to temporarily hold an amount prior to arrival. Please note parking is limited and subject to availability. It is on a first-come first served basis. One of the most picturesque neighbourhoods in Catania! Location is great if you need to be in Catania, but parking was an issue 7nless you can get in the hotels small valet parking. Decent breakfast but If you are staying for more than a couple of days it will get repetitive. Couldn't sleep one night because of the noise coming from a conference room located a floor above our room. Pillows in our room felt worn down. Breakfast. Room didn't meet my expectations. It was last room available. Quiet place. Close to downtown. parking. Area around hotel is at first off putting but its actually OK if you stick to roads/streets staff tell you to use. Water pressure in our shower was not so good, wouldn`t hold the balance between hot and cold water easy. The breakfast buffet was somewhat limited in selections, could have beeen richer. Also, they cleanup the breaksfast tables at 10am sharp, so better show up well ahead of time. 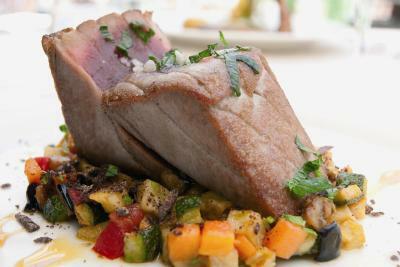 The restaurant is a bad experience with mediocre food and high prices. Not the best way to spend your money in Catania. I think that Catania is unsafe at night and the hotel is near some bad neighborhood. Really enjoyed the hotel. Unfortunately, the hotel restaurant is trying to be upscale but fails miserably. 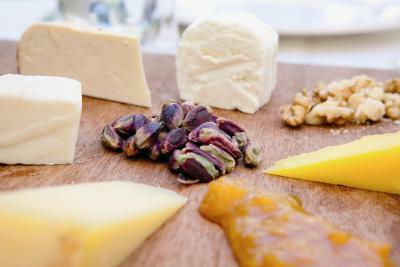 Skip the restaurant end search for something in the city. The Bar of the Hotel is good. 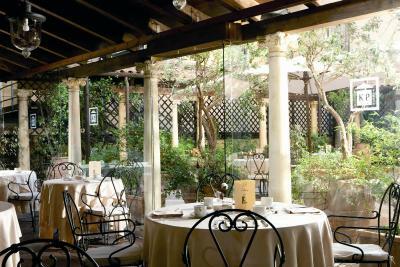 The inner court is very beautiful and having breakfast there is like having a taste of Sicilian culture. 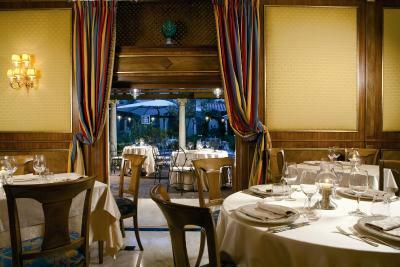 Despite of the high quality of the restaurant, the same restaurant is catastrophic at morning time. 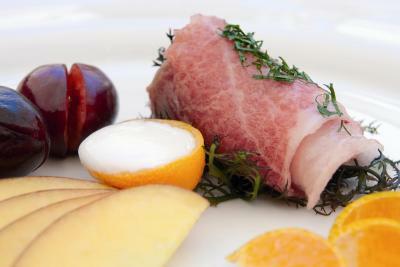 The problem is not the quality of the food and drink, because if you are lucky and able to get the ham, cheeses, fresh orange juice and sweets, you can enjoy. But you should be lucky, as the personnel supplement the foods and drinks very slowly, accidentally. Sometimes you don't have even bread for several minutes (5-15 minutes to wait), the tables are cleaned slowly as well, you have to wait just to get a place - then the battle start for the foods. Another problem is the limited place of the parking - but the hotel is correct, because you're informed about the fact while booking. Beds and pillows were a bit hard.